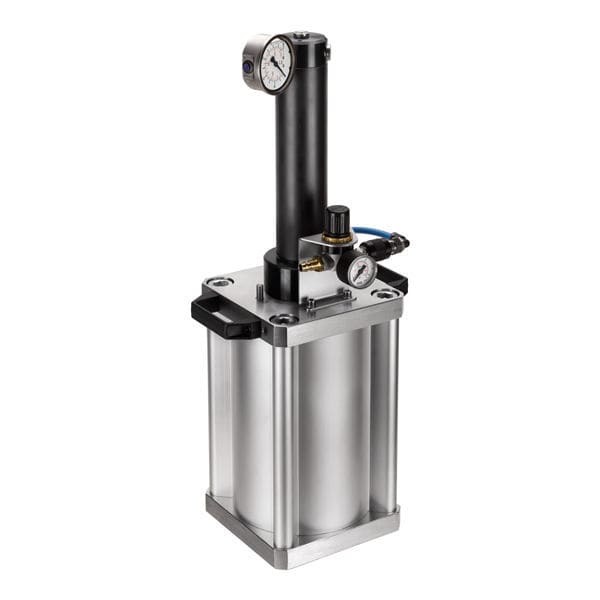 Compact, air-pressure-operated pressure intensifier for single-acting hydraulic circuits. With pneumatic control unit for the hydraulic output pressure, pressure gauge and fill level indicator. The pressure intensifier is used for opening for hydraulic clamping modules or hydraulic clamping stations.